WS-SC2430B 30A wellsee intelligent solar controller_Solar Controller_Products_solar controller,charge controller,solar regulator,lighting controller,mppt controller are selling best on our website! 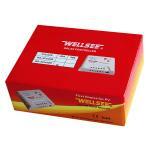 WS-SC2430B wellsee intelligent solar controller(wellsee solar three stage charge and discharge controller、wellsee photovoltaic controller)，applies in solar photovoltaic systems,which coordinates the working of solar panels.battries and loads.it adds overall protection functions,so that the entire system can be in efficient and safe operation. 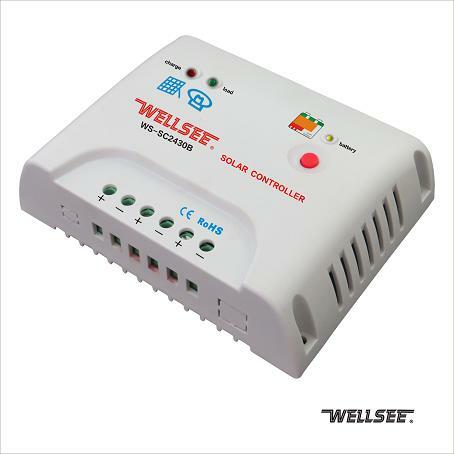 WS-SC2430B wellsee intelligent solar controller apply to all types of photoelectric panels and various types of batteries, Using industrial-grade MCU (Micro-Processing Controller) has PMW (Pulse Width Modulation) variable duty cycle function. It can dynamically adjusting PWM parameters, and supply the best and fast charging voltage and current, increase charging efficiency according to the types of battery and charging status, it also can prevent overcharging and protect the battery life effectively. 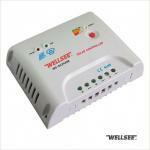 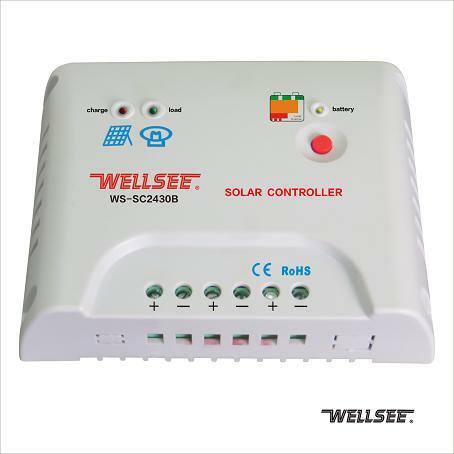 WS-SC2430B wellsee intelligent solar controller is totally different from other controllers with three stage charging mode:it charges by battery charging characteristic curve and adopts to intelligent three steps charging mode “constant current- constant voltage and limited current-Purling floating”,It make the battery full of power. 3. Purling current floating charge stage: continue to adjust PWM and keep the charge current keep in floating status until battery voltage is up to 14.2V, charging is over.